DEPRECIATING LABOR COSTS - The Rough Notes Company Inc.
Producers aren’t involved in loss settlement decisions. As a practical matter, however, they can’t avoid being impacted by them, as they’re the first-line contact with insureds. That affects what you need to know. When it comes to actual cash value (ACV) settlement of a damaged roof, insurance professionals can’t be surprised that most home owners would think of it the way Daniel Boudreau did back in 2002. The shingles are of course logically depreciable. As they age, they certainly lose value due to wear and tear. They typically have a useful life of twenty years. It makes sense, then, that sixteen-year-old shingles have lost sixteen/twentieths, or eighty percent, of their value over time. The court’s majority was not swayed by Boudreau’s colorful characterization, however; nor are property insurers in general. As odd as it may seem to Boudreau and others that labor can depreciate in value, the ability to depreciate labor costs is fundamental to ACV settlements—and will be subject to renewed challenge. Within a week at the end of February, a federal court in Kentucky certified a class action against State Farm [ii] over the practice of depreciating labor costs and a federal court in Arkansas was asked to give class action status to a similar suit filed against Progressive, Ameriprise Auto & Home, and other insurers. The cases involve personal lines, but could have precedential importance for all property insurance. Technically, producers aren’t involved in loss settlement decisions. As a practical matter, however, they can’t avoid being impacted by them, as producers are the first-line contact with insureds. If pressed on the issue by a disgruntled policyholder, a producer would find it hard to refute Boudreau’s reasoning; he or she might even share it. When it comes to describing ACV coverage, it’s probably best to lead with the obvious: you get what you pay for. If one wants to pay meaningfully reduced premiums for ACV coverage, one has to expect meaningfully reduced recovery following a loss. The simplest response might be this: If insurers can’t depreciate labor costs in ACV settlements, they may not be able to offer meaningful ACV coverage at all. To that point, it’s no accident that many of the cases involving ACV labor depreciation come from Plains states, where windstorm losses over the past decade have created severe stress for property insurance markets. ACV coverage, especially for roofs, has been seen as a way to preserve affordable coverage in remote, wind-prone areas with older structures. 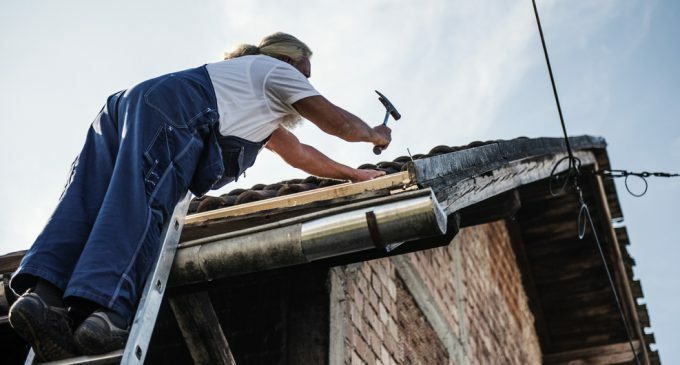 If one carries Boudreau’s argument to its logical conclusion in a roofing claim, an insurer under an ACV policy would pay a fraction of the cost for new roofing materials, but the full cost for the labor to install it. It’s hard to see where the insurer would see enough benefit to be able to provide ACV coverage for an appreciably lower premium than replacement cost coverage. So far, that seems to be the prevailing, though not unanimous, opinion in most jurisdictions. Producers know there’s no fun and little value in trying to explain the logic of insurance law and economics to buyers. If that isn’t possible, there may not be any ACV option to consider. [v] Redcorn v. State Farm, op. cit.